World wine production is expected to jump 12 per cent this year, a rebound from 2017 when bad weather sent output slumping to the lowest in more than two decades, according to an intergovernmental wine group. Global wine production is expected to climb to 282 million hectoliters in 2018, an increase equivalent to about 4.1 billion bottles, the Paris-based International Organisation for Vine & Wine said on Friday. Output recovered for top producers Italy, France and Spain, the group said. The outlook for larger volumes is already taking the edge off wine prices in France, with average October prices for bulk red wine without mention of grape variety falling to US86 cents a liter from 1.03 euros in July, according to data from local crop office FranceAgriMer. Italy is expected to keep its spot as the world’s biggest wine producer in 2018, with volumes rising 14 per cent to 48.5 million hectoliters, while France remains the runner up, even as production there jumps 27 per cent to 46.4 million hectoliters. In Spain, the volume of the 2018 vintage is forecast to rise 26 per cent to 40.9 million hectoliters. U.S. production is expected to increase 2 per cent to 23.9 million hectoliters, the OIV said, citing data from the U.S. Department of Agriculture. 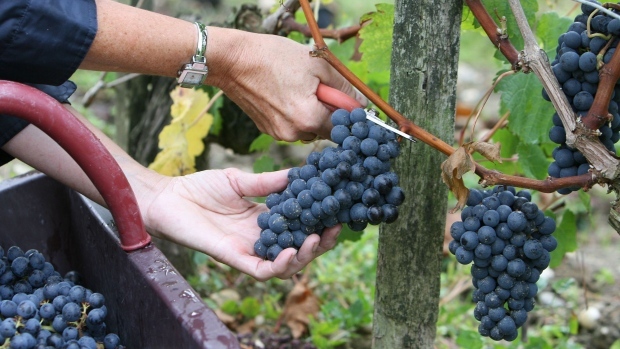 The country is the world’s fourth-biggest wine producer.